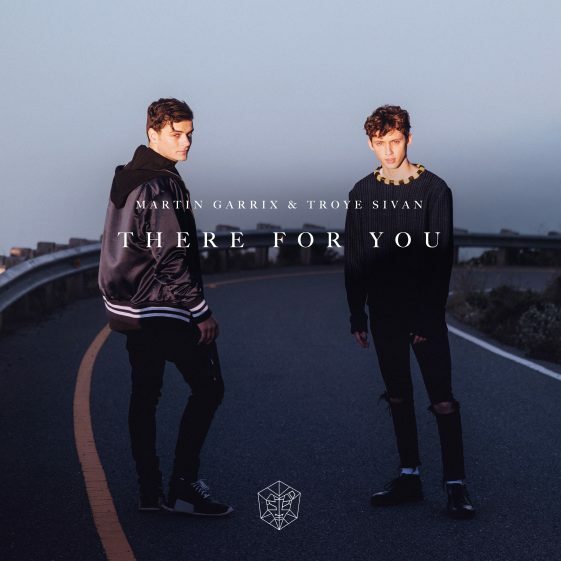 [New York, NY – May 26, 2017] Dutch hit maker/producer/ #1 DJ Martin Garrix and global pop star Troye Sivan today release brand new single “There For You,” with an accompanying video, available now at all digital service providers. Click here to watch/listen. The docu-style video for “There For You” was shot in San Francisco, California by Taylor Cut Films (Usher, Ciara) and takes a look at the lives of both Martin and Troye leading up to their performance of the new single last week at Bill Graham Civic Auditorium. Previous to “Scared To Be Lonely,” Garrix announced his signing to RCA/Sony Music International in the summer of last year with the release of “In The Name Of Love” with Bebe Rexha which is RIAA certified platinum, amassing over 1.2 billion streams worldwide. Named the #1 DJ on DJ Mag’s Top 100 poll, Martin Garrix is on track for yet another mammoth year. The young trailblazer wrapped his 3-night run at Bill Graham Civic Auditorium last week in San Francisco and is headlining Tomorrowland in July in Belgium. Martin continues to call Ibiza his second summer home, adding another club residency at Hï and continues his residency at Ushuaïa. It’s easy to get lost in the numbers behind Martin Garrix’s meteoric rise – the 21 year old Dutch superstar has already set precedents and scored landmarks at every corner of the music industry. Backed by Scooter Braun Projects, Martin has become one of electronic dance music’s youngest superstars, with his 2013 release of his smash hit “Animals” topping the charts in late 2013 at the age of 17. Just three years later, he was voted #1 on 2016’s DJ Mag Top 100 Poll. The young producer has made both Billboard’s prestigious “21 Under 21” 3 times, as well as Forbes’ “30 Under 30” list twice. Garrix won two 2016 MTV European Music Awards for Best Electronic and Best Worldstage Performance, cementing his stature as a cross over artist to be reckoned with. In 2015, Garrix won two MTV European Music Awards for Best Electronic Act for Best Dutch Act. In 2016, Garrix signed a global deal with Sony Music International marking his ascent into the highest reaches of the music industry. His first single for RCA/Sony Music Intl, “In The Name Of Love” featuring Bebe Rexha, amassed over 1.2 billion streams and has become a massive hit worldwide. The follow up to “In The Name of Love” is Garrix’s collaboration with Dua Lipa, “Scared To Be Lonely,” which has received critical praise from the likes of TIME, The FADER, Billboard and enjoyed nearly a half a billion streams worldwide since its January release. Garrix remixed of one the biggest pop singles of recent years, The Weeknd’s “Can’t Feel My Face,” and has collaborated with Usher (“Don’t Look Down”) and Ed Sheeran (“Rewind Repeat It”). Garrix has residencies at three of world’s most prestigious clubs: Omnia Las Vegas, Hï Ibiza and Ushuaïa Ibiza. Garrix has also collaborated with world renowned brands such as 7UP and Tag Heuer and most recently was named one of the faces of the adidas originals x FootLocker Teorado collection campaign in Europe. Upon its release Troye Sivan’s debut album, Blue Neighbourhood (Capitol Records) topped over 50 iTunes charts around the world. Billboard praised Troye as “the voice of a new more tolerant generation,” while The New York Times dubbed him the “prototype for tomorrow’s global pop star.” Blue Neighbourhood is RIAA certified gold in the U.S. and contains hits “Youth,” which is certified platinum, and “Wild,” which is certified gold. Troye has 20 million combined online followers and over one billion total streams to date. Troye relentlessly supports LGBTQ causes and the fight against discrimination through education, awareness and advocacy. The recently released video for “Heaven” has over 8 million views and was wildly commended for celebrating LGBT history.